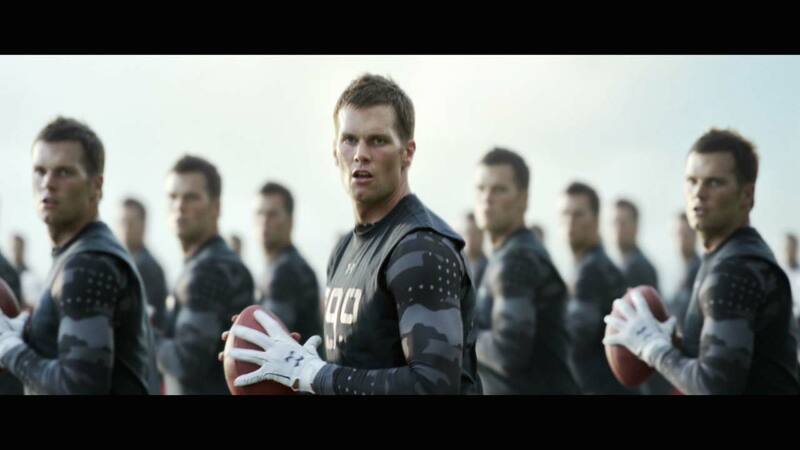 Tom Brady stars in the latest spot for Under Armour’s ‘Rule Yourself’ campaign. The Mill teamed up with Droga5 and RESET Director Wally Pfister on the five spot campaign that shows how you are the sum of all of your training. The spot starts off with shuffling feet and unfolds into an army of Tom Brady's perfecting his game- tons and tons of Tom Brady's training hard. The team had limited time with the talent, so a five camera array on a horizontal rig was built to shoot each of the talent creating thousands of Brady's in a short amount of time and from different vantage points. He was shot with five cameras, then moved back five feet from the front 10 times. By shooting 10 takes, the team got 50 shots. ‘Rule Yourself’ staring Tom Brady is part of the ‘Rule Yourself’ campaign that also features Misty Copeland, Stephen Curry and Jordan Spieth.